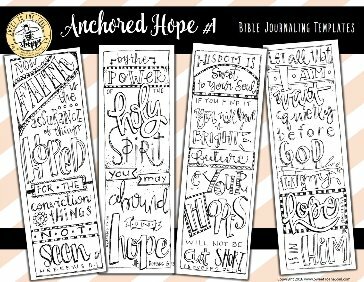 But for Christians, hope is so much more than a wish. 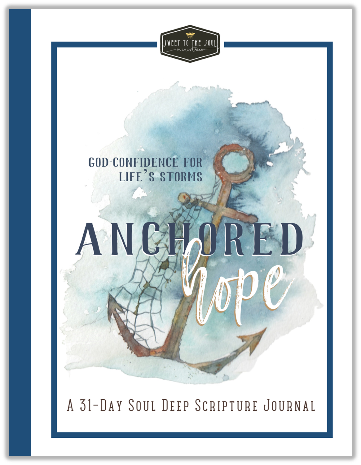 Join us on a 31-day journey as we dive Soul Deep into God’s Word to learn how we can find God-Confidence for life's storms. 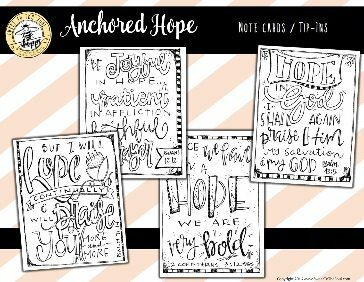 FREE Instant downloads may be printed multiple times. 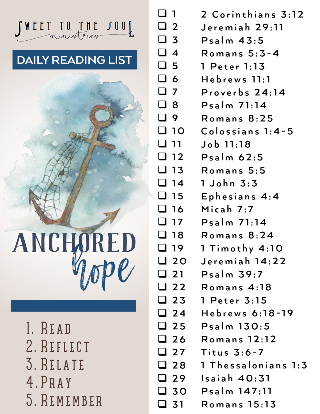 ​This study can be used at any time. 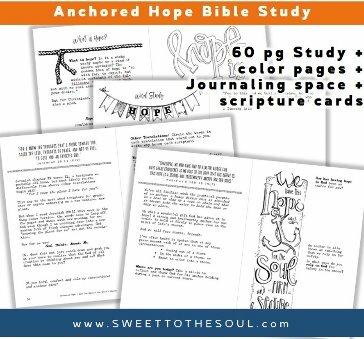 This is a go at your own pace study, shorter than our Soul Deep 31-day Devotionals and Scripture Journals, and incorporates lots of opportunities to worship and study through creativity. 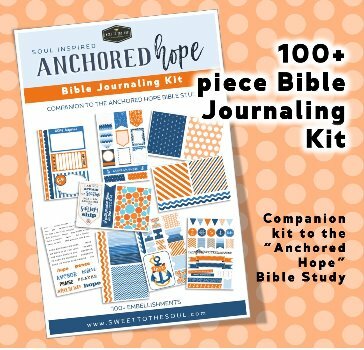 Perfect for a take-a-long study or when a multi-week study just doesn’t fit your schedule. 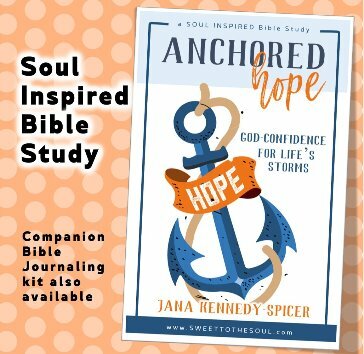 All proceeds from the sale of Soul Deep Devotionals and Journals go towards providing Bible Study materials [free of charge] to women incarcerated in prison or living in shelters. 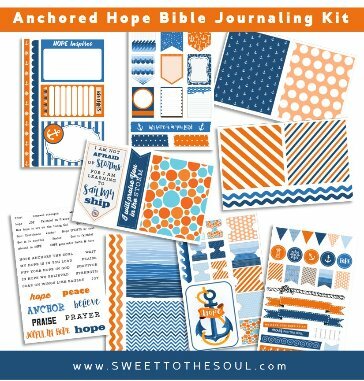 #SoulDeep Scripture Journal download is for a single personal use only. 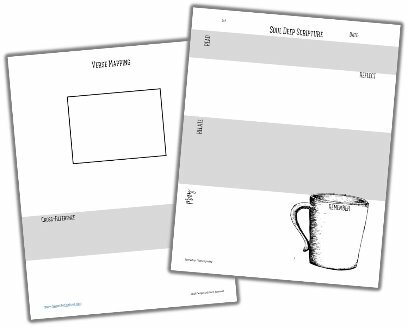 No graphic or print, whether the actual .pdf file, the graphic image displayed on this page or the printed product from the file, may be sold, listed for sale or reproduced for sale in any format. No graphic or print, whether the actual .pdf file, the graphic image displayed on this page or the printed product from the file may be altered or edited in any way. The images on this page may be shared across social media or on your webpage, but in doing so we would request an author notation of Sweet To The Soul and a link back to our website at www.sweettothesoul.com. The purchased .pdf file MAY NOT BE SHARED. If you are with a group, ministry or organization which is desiring to use any of this images or files under conditions other than what is listed here, please contact us at graphics@sweettothesoul.com.